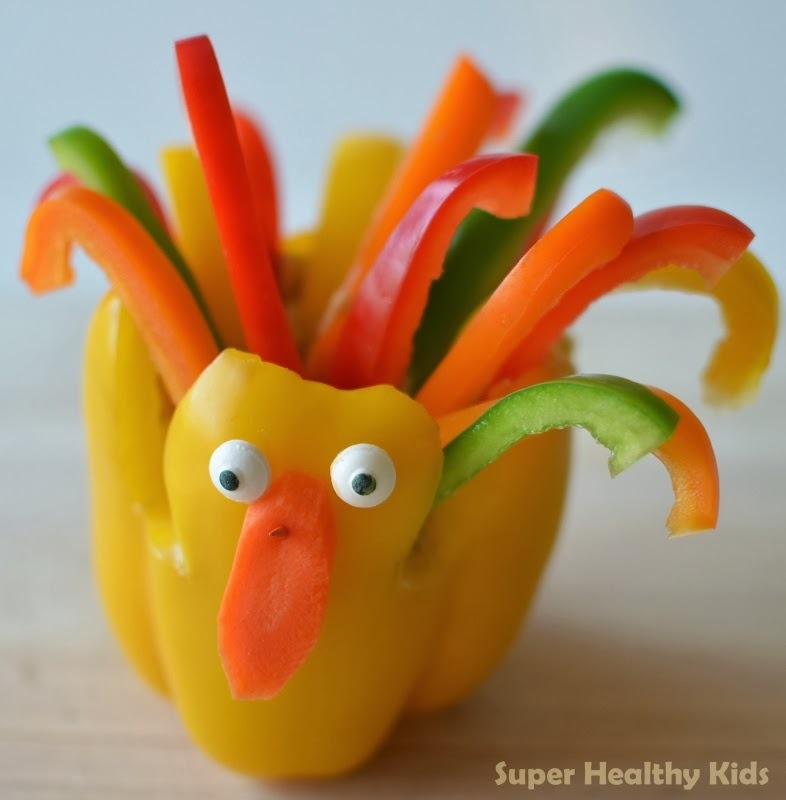 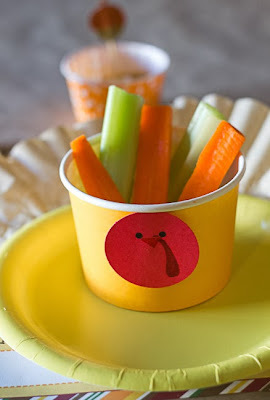 I have seen a lot of fun turkey veggie cups, but this cute turkey snack cup that Heather made is one of my favorites. The free printables turn a regular paper cup cup into an adorable Thanksgiving snack. 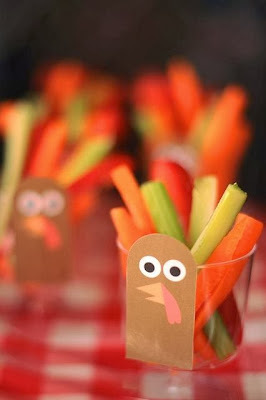 The kids will love having these at their table, even if they are just a sneaky way to make veggies look irresistible. 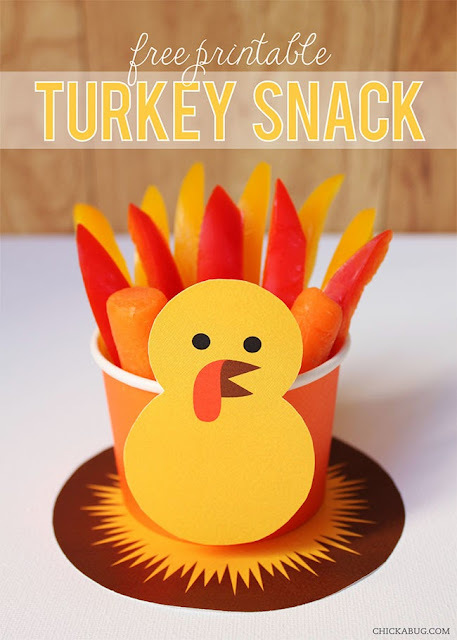 You can get the free turkey snack printables over on Chicabug.